NOTICE! IADC eBooks require a free eReader and also a free Adobe ID. These eBooks must be opened with the Adobe ID-authenticated eReader. They cannot be printed. If you have any questions, please Contact the Webmaster. For subscriptions to any IADC eBook, please Contact the Publisher. Regulators: Government employees involved in regulation of oil and gas drilling and completion activities are entitled to a 25% discount on IADC books and ebooks. Click here if this applies to you. Please Note: To qualify for the discount, applicant must be actively employed by a government regulatory agency involved in rulemakings for oil and gas activities. Employees of national oil companies are not eligible for the discount. Important! This eBook is single-license, digital-only format. For Print-On-Demand or Multi-User licenses, Click Here. The new deepwater guidelines include new content on operational risk management, sometimes called process safety, with additional new and refreshed content on well integrity, well planning, rig operations, equipment, procedures, training and drills, and emergency response. The year-long project was led by Louis Romo, BP, Chairman of the Deepwater Well Control Guidelines Task Force, and Moe Plaisance, DODI, Executive Advisor, with support from nearly 100 top-level experts. The aim of these Guidelines is to facilitate safe and efficient deepwater drilling operations. This important publication provides guidance for maintaining primary well control, applying secondary well control methods and responding to an emergency in the event of a blowout. Each chapter is intended to facilitate the rig team’s primary task of maintaining and optimizing control of the well. Six chapters tackle the following vital information, key to maximizing safety and efficiency in subsea rig operations. Procedures (Earl Robinson, Murphy Oil Corp, chairman): Kick prevention, detection and mitigation to maintain/regain control. Emergency Response (John Garner, Booths and Coots, chairman): Activities and resources to manage a well control emergency. 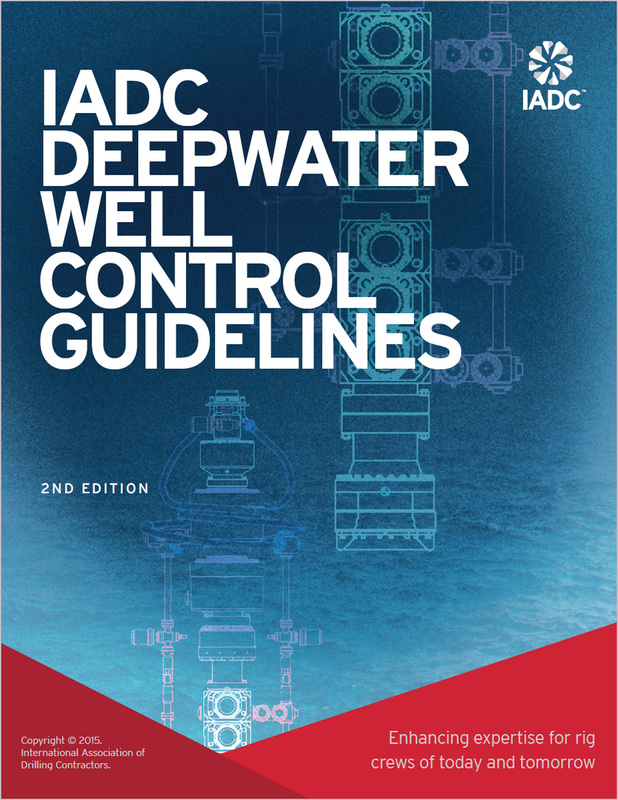 The IADC Deepwater Guidelines also include an appendix defining important acronyms and terms. © IADC. All rights reserved.